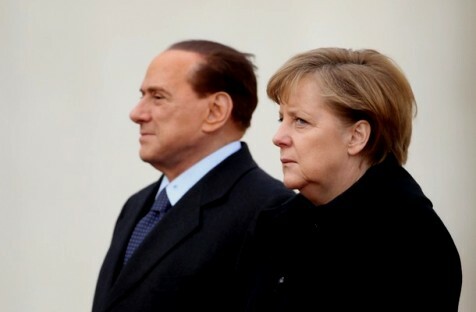 BERLIN, March 23, 2011 (WSJ)—German Chancellor Angela Merkel said Tuesday her government will assign two separate expert panels to check technical and ethical safety questions related to the use of nuclear energy within three months, The Wall Street Journal reported on Tuesday. “I don’t rule out that the reviews will have an impact on life-spans” of nuclear plants, Ms. Merkel said at a press briefing following a meeting with premiers of German states that host nuclear power stations. However, she said can’t predict what the outcome of those reviews will be. Meanwhile, the Italian government plans to approve Wednesday a one-year moratorium for the country’s nuclear comeback, the industry minister said Tuesday, as the global backlash against atomic energy means it faces overwhelming opposition at home. Italy banned nuclear power in a 1987 referendum. 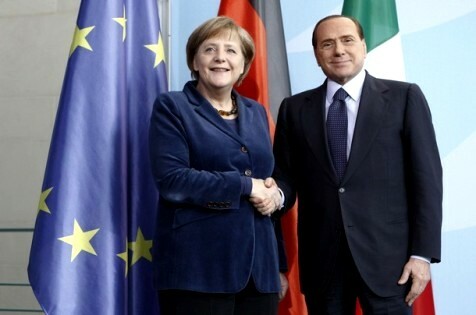 The government of Prime Minister Silvio Berlusconi announced in 2008 it would allow the return of nuclear power in Italy. In Germany, Ms. Merkel last week had announced a three-month moratorium to an earlier decision by her government to extend the life-span of nuclear plants by, on average, 12 years. She also ordered the temporary closure of seven older nuclear plants, and said some plants may have to be switched off permanently, faster than expected. The Chancellor’s insistence on safety and possible turnaround in energy policy come after mass protests against nuclear power and ahead of elections in the states of Baden-Wuerttemberg and Rhineland-Palatinate next Sunday. 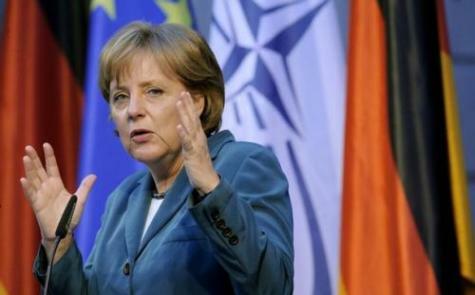 Ms. Merkel on Monday denied the safety measures were accelerated to boost her party’s chances in upcoming state elections. However, Tuesday she acknowledged that the “unfortunate experiences [in Japan]” may have an influence on voter behavior. The more technical of the nuclear safety panels will evaluate whether safety standards need to be improved in light of the nuclear accident at a Japanese nuclear reactor complex after a devastating earthquake and tsunami, Ms. Merkel said. The panel will also look into new kinds of safety concerns, such as possible cyber attacks on nuclear installations, she said. Questions of emergency electricity supplies, cooling systems, and the evaluation of the explosions that occurred in Japan during the phase of emergency measures will all be verified, German Environment Minister Norbert Roettgen added at the briefing Tuesday. Mr. Roettgen said it needs to be evaluated whether stricter safety assumptions need to be put in place. The Japanese disaster has shown that nature has proved wrong the safety assumptions made in the case of earthquakes, he said. “Couldn’t there also be two [simultaneous] catastrophic events in Germany? Floods and explosion?” Mr. Roettgen asked. The second commission will evaluate ethical questions related to the operations of nuclear reactors amid public opinion in Germany that is far more nuclear-skeptic than in most other European countries. German Economy Minister Rainer Bruederle Tuesday repeated that nuclear power is a “bridge technology” on the path to an economy based on renewable energy. To boost the usage of renewables, Mr. Bruederle presented a draft to state premiers for legislation to foster a massive expansion of power lines to transport wind energy from the windy North Sea and northern Germany to the South, where nuclear plants may be switched off. Partners within and outside the European Union need to be included in efforts to check the safety of Europe’s 145 nuclear power stations, Mr. Bruederle stressed. EU energy ministers failed Monday to reach consensus on how and when to conduct continent-wide “stress tests” on nuclear power stations. Some countries, such as Poland or Turkey, want to boost nuclear energy production, while others, such as Austria, would like to see an exit from the technology everywhere, Bruederle said. Jan 11 (KATAKAMI / EXPATICA.COM) — German Chancellor Angela Merkel arrived in Cyprus on Tuesday for a landmark visit to help boost faltering UN-backed efforts to reunify the Mediterranean island after decades of division. Both the Cypriot government and media have described the visit as “historically important” and “politically significant”. Pro-government communist daily Haravghi splashed “Willkommen” (welcome in German) across its front page, while the right-wing Simerini called it a short but important visit. Apart from the Cyprus problem, the German chancellor would be keen to talk about closer NATO-EU cooperation which the island’s division has hampered, according to the reports. Merkel is on a five-hour “working visit” to Nicosia, the world’s last divided capital following the 1989 fall of the Berlin Wall, in the first ever by a German head of government. 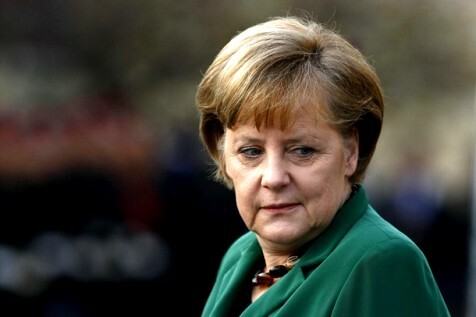 She will hold talks with Cyprus President Demetris Christofias before they have lunch together, and then Merkel will come face-to-face with the island’s division when travels to the green line. Once in the UN-patrolled buffer zone she will spend some time at the Goethe Institute, hold a meeting with UN chief of mission Lisa Buttenheim before seeing main right-wing Disy opposition leader Nicos Anastasiades. Her trip comes a day before Christofias, the Greek Cypriot leader, and his Turkish Cypriot counterpart Dervis Eroglu are to resume peace talks on Wednesday after a long break. “Naturally, Germany is in favour of the reunification of Cyprus. It is the first visit of a German chancellor, which carries great weight and is of huge importance,” Christofias told reporters last week. He said Merkel’s visit was on a par with the historic visits of Russian President Dmitry Medvedev and Pope Benedict XVI who arrived in Cyprus to much fanfare last year. 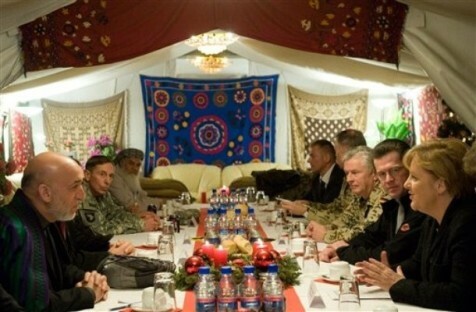 The latest peace process was launched amid renewed international optimism in September 2008. But with no signs of tangible progress, UN chief Ban Ki-moon has stepped in to try to add impetus. The trio are expected to meet again in Geneva, Switzerland on January 26 after a review last November in New York of the sluggish peace process. January 03, 2011 (KATAKAMI / EXPATICA) — German Chancellor Angela Merkel on Monday condemned as “barbaric” the bombing of a church in Egypt that killed 21 people on New Year’s Day. “I received the news of the awful attack on a church in Alexandria with disgust and anger,” Merkel said in a letter of condolence to Egyptian President Hosni Mubarak, according to a government statement. Twenty-one people were killed early on Saturday and 79 wounded when an apparent suicide bomber blew himself up as hundreds of worshippers were leaving the Al-Qiddissin (The Saints) church in Alexandria. 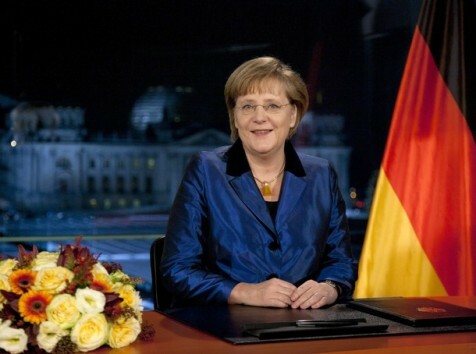 December 31, 2010 (KATAKAMI / DEUTSCHE WELLE) — The chancellor highlighted the importance of the euro in her New Year’s speech, saying the single currency was at the center of Germany’s prosperity. 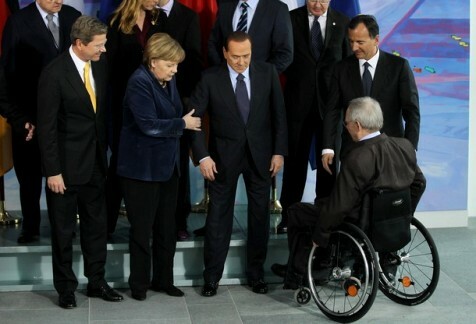 She also said Germany had emerged stronger from the economic crisis. German Chancellor Angela Merkel opened her annual New Year’s Eve address to the nation by looking back to her speech from one year ago, when Germany faced an uncertain year ahead. As 2010 comes to a close, however, Merkel struck a much more confident tone, patting Germans on the back for helping pull the country out of the economic doldrums. “Never have more people had work in reunified Germany than today. The number of unemployed is the lowest in almost 20 years,” the chancellor said. While Germany leads the way economically among European nations, other countries are still struggling, which has led to widespread unemployment and fears about the eurozone’s shared currency. “Europe is currently facing a big test. 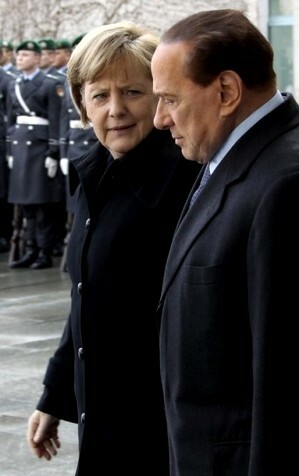 We have to strengthen the euro. It is not just about our money. 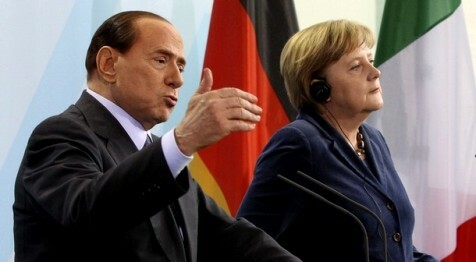 The euro is much more than a currency,” Merkel said. “Fortunately, we Europeans are unified. A united Europe is the guarantor for our peace and freedom. The euro forms the foundation of our prosperity,” she said. Merkel drew a comparison between the hard work displayed by Germans to pull themselves out of the economic crisis to the country’s national soccer team, which took third place at the World Cup in South Africa. 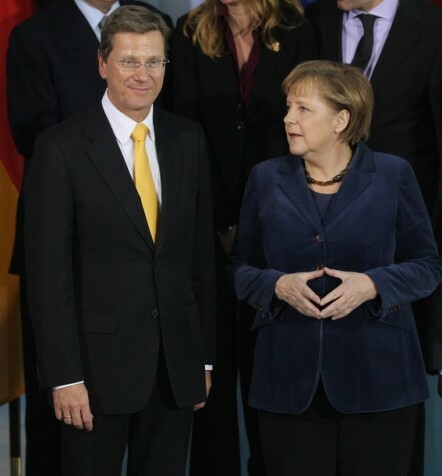 The chancellor looked ahead to the summer of 2011, when Germany is to play host to the 2011 women’s World Cup. 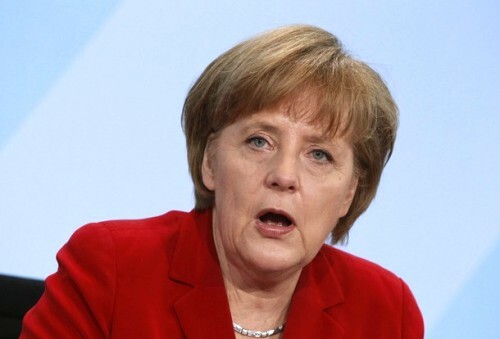 The host nation is seen as a strong title contender, which Merkel referenced in her speech. 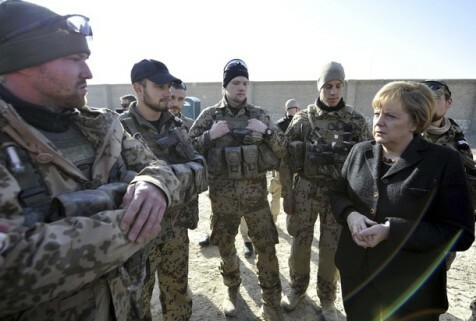 Germany’s armed forces received a lot of attention in 2010, both for the debate about ending Germany’s long-standing policy of conscription and the Bundeswehr’s role as part of NATO’s engagement in Afghanistan. 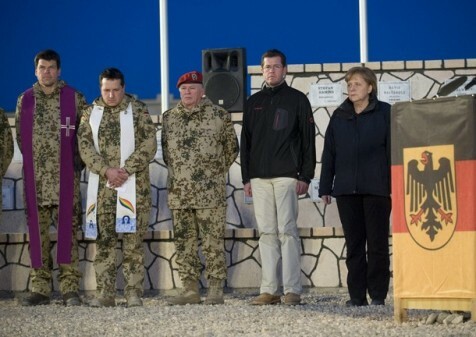 The chancellor paid her respects to the nine German soldiers who died this year in Afghanistan. “Even though no words from me can ease the pain felt by the families and friends of those who have fallen, I want to say from the bottom of my heart: that they will not be forgotten,” Merkel said. Merkel wrapped up her speech by looking forward to the year ahead, calling on Germans to live in solidarity – “from person to person.” Germany should not strive to “have more” but to “live better,” Merkel said, which serves to foster togetherness and well-being in the country.